The following is a review of FLOW’s live performance at Cargegie Hall from TheaterByte. Click here to read the review on TheaterByte’s website. 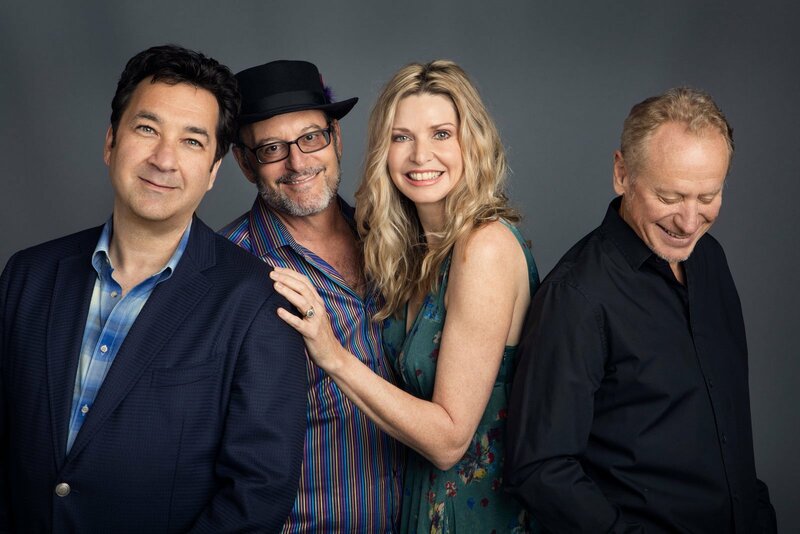 FLOW or Fiona Joy Hawkins (piano), Lawrence Blatt (guitar), Jeff Oster (trumpet, flugelhorn, sound effects), and Will Ackerman (guitar) has become one of the most highly regarded “New Age” quartets currently on the circuit. All of these artists have established major performing and recording careers: Fiona Joy in her native Australia and Lawrence, Jeff, and Will in the US. Grammy-winner Ackerman, the “senior” member of this foursome, opened the door for the commercial success of New Age compositions and performers with his founding of the music label Windham Hill Records in 1972. This new millennium “fab four,” frequently adds talented sidemen to their ensemble when they record and tour. 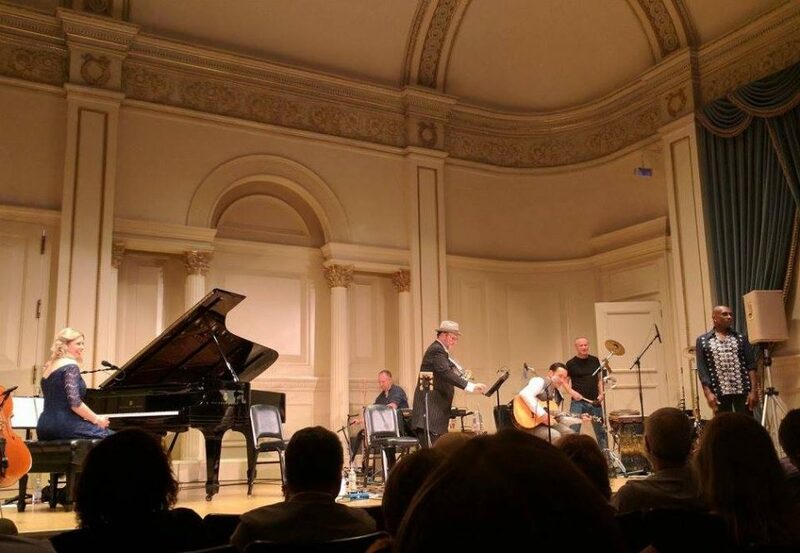 For this concert, FLOW wisely chose Tom Eaton, a true musical factotum who contributed on bass and piano, Premik (Russell Tubbs) a legendary multi-instrumentalist, Vin Downes a brilliant young guitarist, and veteran percussionist Jeff Haynes.